Gearing up with a protective suit before handling the bees and their hives is a must. Complete protective gear such as beekeeping suits will keep you safe and secure while attending your bee farm. As everyone knows, bees take their stance to defend and protect their hives. And if you invade these busy bees, you’ll be caught up with sharp and painful bee stings or worse, will trigger your allergies if you have any. Choosing the right beekeeping suit requires careful consideration of several factors such as the size, veil type, material, the openings, and seals. This allows you to fully benefit from its useful features, particularly comfort and protection. And if you’re still in search of the most appropriate beekeeping suit before you head out to the beehives, we’ve got the topnotch choices in store for you. For a lightweight beekeeping suit, the Flexzion suit is designed with a premium white cotton material. This one’s intricately tailored with excellent ventilation that enables you to work on the bee farm comfortably. Since it is breathable and lightweight, you can move around easily and effortlessly while working on those beehives. For added protection and comfort, Flexzion designed it with elastic waistband and ankles for superior comfort and better fit. It keeps the suit intact even when you move and work. It ensures long-lasting quality with the heavy-duty zippers and double-stitched seams. And to protect your face from the bee stings, the detachable fencing veil will serve as your shield. Made from a premium cotton material; durable quality. Comes with a detachable fencing veil for excellent visibility and protection. Offers superior ventilation that keeps you cool while attending the beehives. The fencing veil may limit the view. Beginners can go for this beekeeping suit from Forest Beekeeping to keep themselves protected while attending the hives in their bee farm. It is designed with elastic wrists and thumb straps to keep the suit intact for superior fit and protection. The fencing veil protects the face while providing excellent visibility. The hood also protects the head to keep you off from the bee stings. And if you don’t need it, you can just detach it from the suit. For maximum durability and breathability, this suit is made of a premium cotton material. 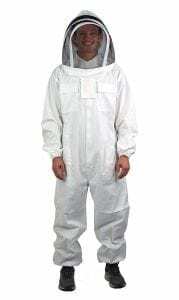 It is lightweight and comfortable to wear to ensure convenience while working on your bee farm. The air can circulate without leaving you running with sweat! Designed with elastic wrists and thumb straps for perfect fit and protection. Comes with a fencing veil for excellent visibility and protection. Made from a premium cotton for superior comfort, durability, and breathability. Easy access with brass zippers; seals the suit tightly. The fencing veil provides protection on the face but may limit the person’s view. 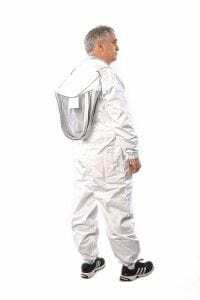 For those who are within the height range of 5’9”, the DGCUS cotton full body beekeeping suit will give a perfect fit. It is made from a cotton material that makes the suit breathable even while working on the beehives during hot temperatures or for extended hours. Such material also makes the suit lightweight and breathable. With its elastic waist, wrists, and ankles, the suit stays in place without getting too loose or too tight. It makes working more convenient while keeping you fully protected from those nasty bee stings! Along with it is the fencing veil that allows the beekeeper to work on the beehives with great visibility. And if you need to take it off, the easy-zip style makes it much easier to wear and take off. 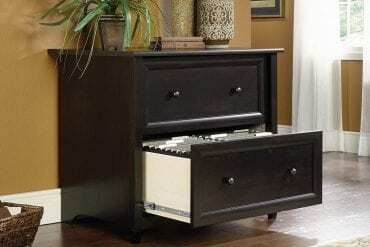 It can accommodate a wider range of body sizes; unisex design. Made from cotton; breathable and lightweight. Designed with elastic waist, wrists, and ankles for better fit and comfort. Comes with an easy-zip style fencing veil. The veil provides excellent visibility and protection. The veil may limit the beekeeper’s view due to its hood design. The Xgunion beekeeping suit includes a jacket, pants, and gloves to provide a complete protection to your face and body while attending the beehives. It is tailored with elastic waist, wrists, and ankle that allows the beekeeper to work comfortably without worrying about loose openings. You can definitely invade those beehives without letting them invade you! Another impressive feature is the fencing veil that protects your face from possible bee invaders and their sharp stings! And to add protection on your hand, you can use the gloves with elastic openings to cover your hands while working. Includes gloves, a jacket, and pants. Tailored with elastic waist, wrists, and ankle for superior comfort and fit. Has a fencing veil to protect your face from bee stings. Comes with gloves with elastic openings for perfect fit and better protection. Some consumers find the pants baggy. 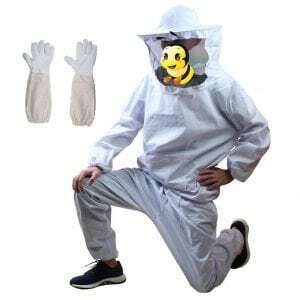 This REAMTOP combo beekeeper suit is comprised of a jacket, pants, and gloves with elastic openings. These parts are all separated which makes it much easier to wear and take off. The gloves also have elastic openings that make it very wearable and enables your hands to work comfortably. To protect your face and head from the bee stings, the fencing veil serves as your shield while working on those beehives. It is detachable and you can just take it off when you no longer need it. And because it is tailored with a ventilated cotton-blend material, you won’t sweat or worry about moisture build-up during hot temperatures. This beekeeping suit is breathable and lightweight. Breathable and lightweight beekeeping suit. Separated jacket and pants which makes it easier to wear and take off. Has elastic wrists, waists, and ankles for superior comfort. Features a fencing veil to protect your face from the bees. Made from ventilated-cotton material for superior comfort and ventilation. It isn’t a full body suit which may fall off if not properly worn. If you want to suit up in preppy pink, the Natural Apiary beekeeping suit in pink hue will keep you in style while fully protected from the bees. Made from 100% cotton, it ensures great quality that will fully protect you from bee stings and allergic reactions if you have any. It comes with a detachable fencing veil that provides a clear and wide view while working. With the breathable mesh, it leaves no spots for moisture build-up and sweat. The wrists and ankles are all elasticated that provides extra protection. The heavy-duty zippers also seal the suit tightly that keeps you protected from the stings. The sides of the pants are also zippered that allows you to take it off and wear it comfortably and easily. Made from 100% cotton; durable quality. Lightweight, breathable, and comfortable to wear. Designed with elastic wrists and ankles for better fit and added protection. Comes in pink color for those who prefer more feminine styles. Keeps you cool while working; provides great ventilation and comfort. Comes with a fencing veil that provides great view and protection. Next on our list is solely designed for beekeepers with a smaller build body or build. This 430-S ventilated suit from Humble Bee will gear you up with a tailored fit for your beekeeping business. One of its striking features is the superior ventilation it offers that allows the air to circulate leaving you with comfortable feeling and convenience while attending the bees. It keeps you cool even when the hot temperatures take over. Another beneficial feature is the elastic waist, wrists, and ankles that keeps the openings secure. It also comes with a round veil that allows the beekeeper to work on the bees and their hives safely. With the overall design and structure, Humble Bee provides an excellent protection from the bee stings. Accommodates beekeepers with a smaller build. Designed with elastic wrists and ankles. Designed with a detachable round veil for maximum visibility. Features a ventilated material that keeps you cool during hot temperatures. Has cushioned knee pads, pockets, and heavy-duty brass zippers. Designed for people with a smaller build. Some consumers may find it not too easy to wear it and take it off. Taking the third spot is another creative innovation from VIVO. This full body beekeeping suit is designed with a veil hood or fencing veil that offers ample protection on your head and face. The hood design serves as an additional protection to effectively keep the bees away. 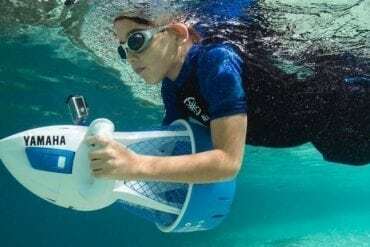 It is also detachable so you can just take it off when not in use. The wrist and ankles are all elasticated. This ensures protection from the bees and their sharp stings. And if you want to take it off or wear it before you head out to the bee farm, the heavy-duty zippers provide an easy access from the suit. It seals the suit tightly while keeping you comfortable all the time. It is lightweight and durable. Has a fencing veil that offers excellent visibility and protection. Full-body design with heavy-duty zippers for easy and durable access. Elasticated wrist and ankles for added protection. Has pockets for small tools and other essentials. Can accommodate tall people with large sizes. Next on our list is the polycotton beekeeping suit from Humble Bee that offers a tailored fit size for bigger build. It is designed with a round veil that allows the beekeeper to work on the beehives with maximum visibility. 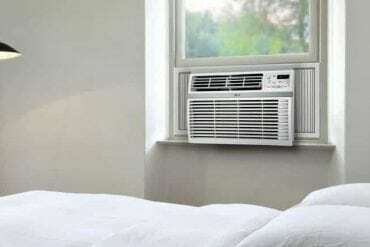 It also adds ventilation which allows the air to circulate keeping you from sweating or feeling hot while working. There are also pockets that you can use for your essentials and small tools when working on the bee farm. Since it is a full body suit, bees won’t stand a chance of getting in or pricking your skin with their nasty stings! It keeps your full protected while giving you the utmost convenience while working. The wrists and ankles are elastic, which is another major plus in its protection and comfort properties. It is lightweight, comfortable, and durable. Accommodates beekeepers with large sizes. Designed with a round veil for maximum visibility. Provides utmost protection with its full-body design. Has pockets for your essentials or small tools. Made of poly cotton; lightweight and durable. The full-body design may not be easy to wear and take off at times. Nevertheless, can provide full body protection. If you want to keep yourself sting-proof, the Natural Apiary beekeeping suit is one of the great finds you should check out. 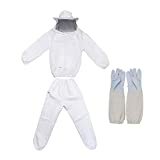 Made from cotton and polyester, the quality is durable and lightweight making it easier for you to go on bee farming errands and honey extracting. It comes with a fencing veil that provides you with excellent visual and at the same time, superior protection from the bee stings. The forearms and ankles are all elasticated that gives a comfortable fit and extra protection. As it is a full body suit, you can keep yourself completely protected from the bees. There are pockets that you can use to store your small tools and other items. And since it is made of cotton and polyester, the moisture does not sit in but rather allows the air to circulate and hence, keeping you cool while working. Full-body design that provides excellent protection. Comes with a fencing veil for great visual and breathable protection on your face. Made from cotton and polyester that ensures durability and breathability. 1. SIZE: When choosing a beekeeping suit, it is always vital to determine the size. Manufacturers provide the available sizes to choose from which may vary from small to large sizes. Other brands can offer double the size for bigger build. Never settle for the suits that are too loose or too tight. Wearing the most comfortable fit allows you to work conveniently and move freely. Round – Most beekeeping suits are tailored with a round veil. This classic design offers excellent ventilation and a wider view that allows the beekeeper to work comfortably on the beehives even when the temperature gets warm or hot. Square – Square veils are a practical option for storage purposes. It folds easily which allows the beekeeper to put it away inside their bag or beekeeping tools. 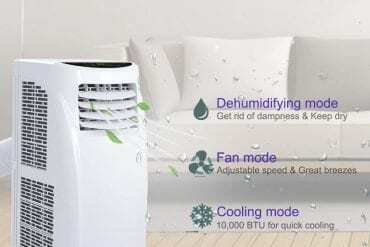 It is also tailored with a breathable mesh on the sides and on the front to prevent moisture build-up and let the cool air flow in. Fencing – Also known as the hood veil, a fencing veil provides a protective covering on your head, neck, and nape which keeps your head fully protected from the painful bee stings. Tailored with a breathable mesh, the air can circulate well. However, the design offers a limited view that may not provide enough convenience at times while working. 3. MATERIAL: Cotton is the popular material for beekeeping suits due to its exceptional properties in terms of comfort and ventilation. Heavy cotton canvas is the ideal option for these types of suits to ensure durability, superior comfort, and utmost protection. 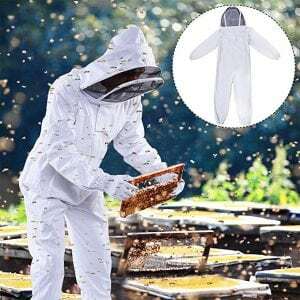 However, modern-day beekeeping suits are specially crafted with ventilation to prevent moisture build-up or any hot spots and hence, promotes breathability. 4. OPENINGS & SEALS: To keep yourself fully secure and safe from the bee stings, make sure the openings of the suit aren’t too loose, particularly the ones around the arm and feet. Most beekeeping suits are tailored with elastic openings around the wrist and feet for better fit and protection. The seals can also be either tailored with zippers or adjustable velcro straps for extra protection. It is undeniably important to suit up with a protective gear before heading out to the bee farms to work on the beehives. As a defense mechanism, bees attack with their painful stings which can trigger allergic reactions and other health issues. 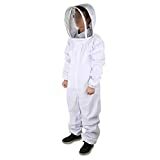 Therefore, to make sure you’re fully protected from these bees, gearing up with a beekeeping suit is definitely a must. It gets a bit tough when you’re down to choosing and deciding which beekeeping suit to buy. With all the overwhelming options in the market, it can be difficult to pinpoint which one suits you best. However, it is important to determine the size, the veil type, the material, the seals, and openings before you make a purchase. 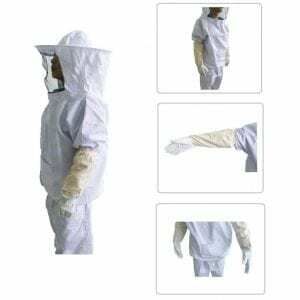 But to narrow down your options and help you pick out the most reliable protective suit, mentioned above is a list of the best beekeeping suits you can find. Hope it helps!